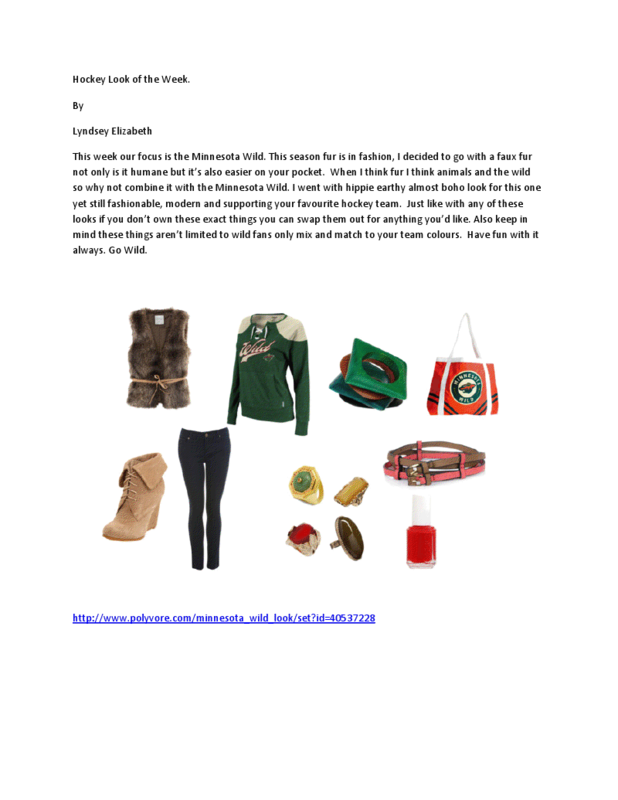 This week our focus is the Minnesota Wild. This season fur is in fashion and with that being said, I decided to go with a faux fur. Not only is it humane but it’s also easier on your pocket. When I think fur, I think animals and the wild. So why not combine it with the Minnesota Wild. I went with a hippie earthy almost boho look for this one yet still fashionable, modern and supporting your favourite hockey team. Just like with any of these looks if you don’t own these exact things you can swap them out for anything you’d like. Also keep in mind these things aren’t limited to wild fans, only mix and match to your team colours. Have fun with it and Go Wild.